A few days ago we got a flyer with a life-sized face of Donald Trump on it. While Sidney was sleeping, Elisabeth and I decided to cut it out and tape it on the inside of the fridge, we wanted to give her a scare. 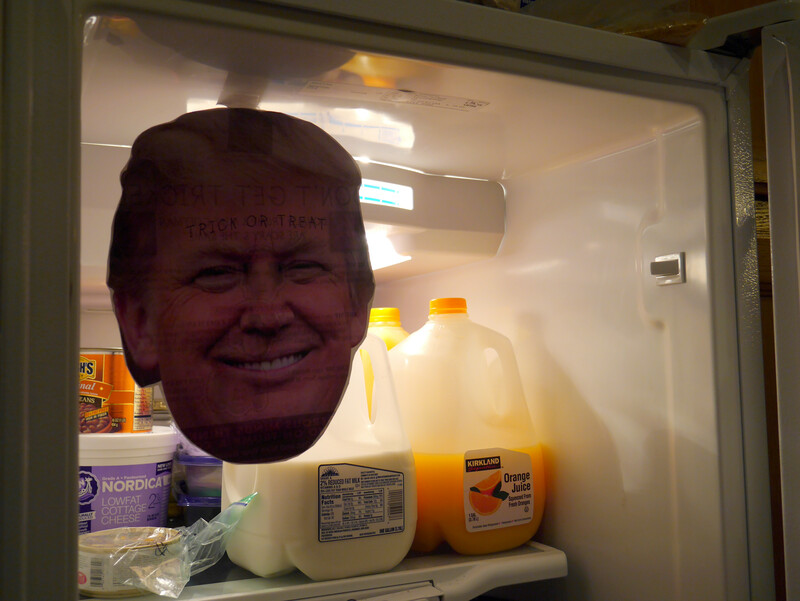 Of course, the next time I opened the fridge I freaked out because I had immediately forgotten what we had done (thanks, brain). I proceeded to scare myself two times after that, once more that evening and another time the next morning. Sidney opened the fridge while I was at work so I didn’t get to experience her reaction first hand but she did say she gave a little jump. Oh the fun we get ourselves into.